The Board of Supervisors on Tuesday unanimously approved plans to demolish the downtown Family Court building to make way for an affordable housing project. 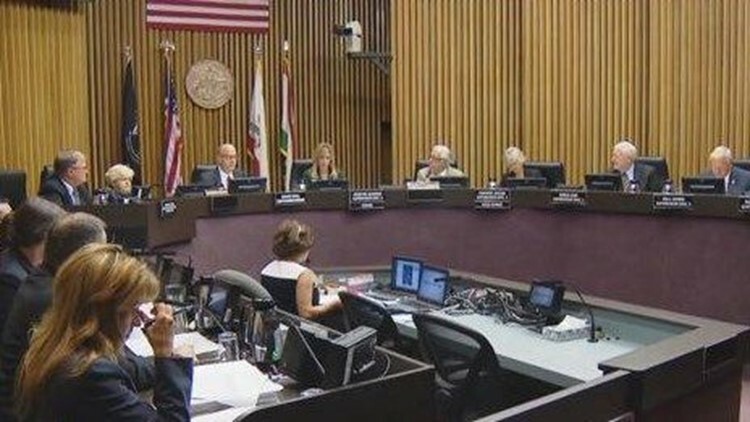 SAN DIEGO (CNS) - The Board of Supervisors on Tuesday unanimously approved plans to demolish the downtown Family Court building to make way for an affordable housing project. "I'm enthusiastic about this going ahead," Supervisor Ron Roberts said. Demolition costs are estimated to be $2.5 million, according to a county report. Funds would come from the current fiscal year's Department of General Services Facilities Management Internal Service Fund. The county can offer a ground lease for "near-term" development of affordable housing after the building is demolished. "The extension of the contract is really a no-brainer," Jacob said. "We've seen success so far." The supervisors amended Interfaith's contract through June 20. Both items were approved unanimously. Supervisor Kristin Gaspar was absent.